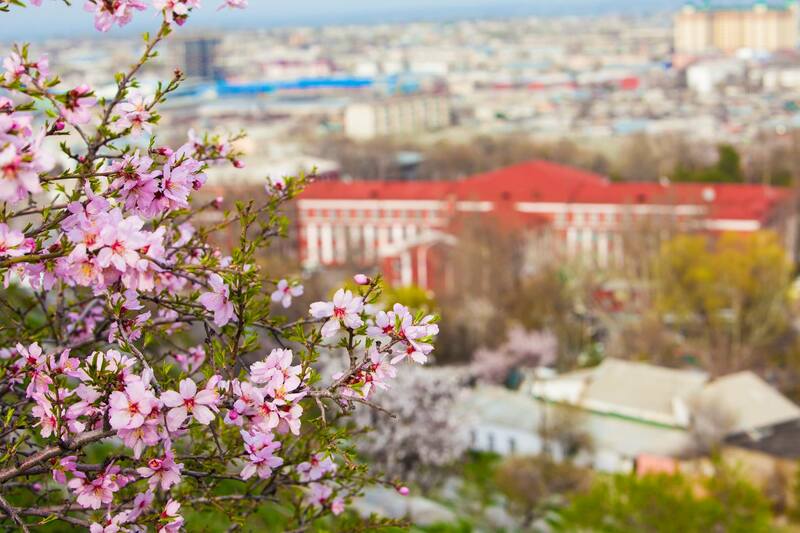 In spring nature revives and mountain valleys are covered with many flowers and herbs. 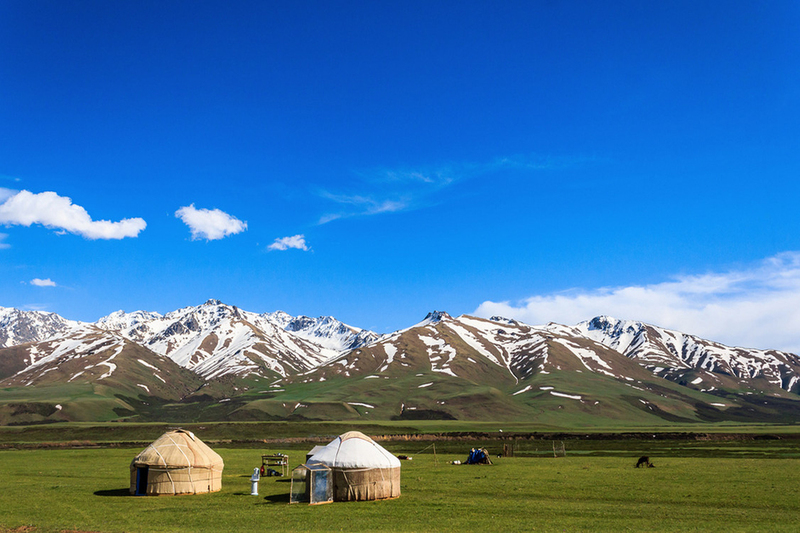 Nomads start their way out and set up yurts, let go their cattle to jailoo (summer pastures). All that we will see on the road, driving through mountain passes and valleys, visiting one of the most beautiful nature reserves in the country - Sary-Chelek. 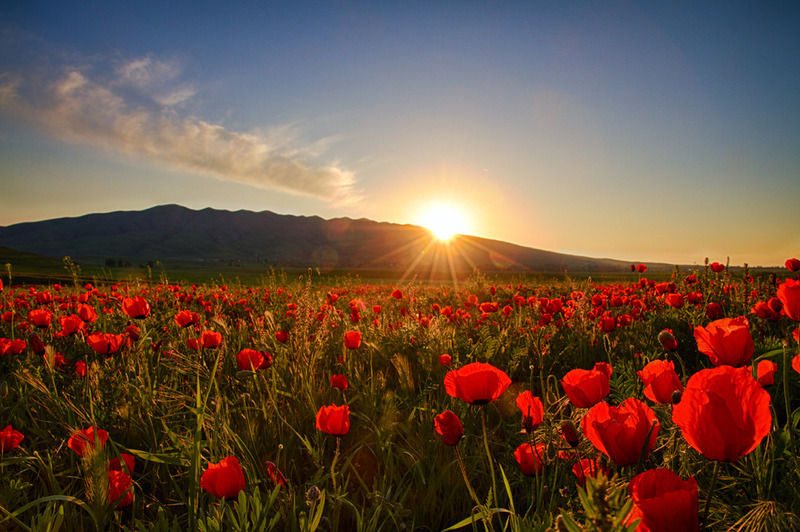 We invite you to the journey to the oasis on the Great Silk Road - to the city of Osh, where you will discover southern Kyrgyzstan. Meeting in the morning with a guide in Bishkek. 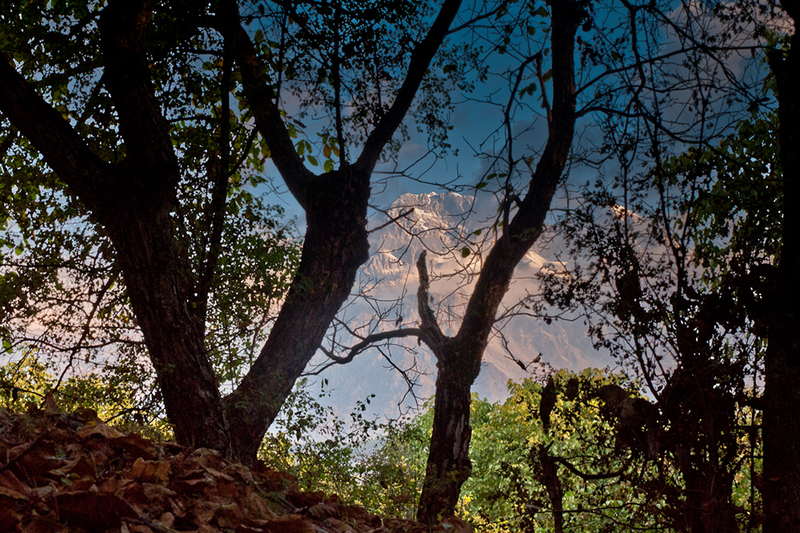 Transfer to Chychkan Gorge. On the way we will pass the stunning valley of Suusmayr (2200 m.). A passage of several passes: Too-Ashuu (3400 m.) and Ala-Bel (3175 m.). Before arrival at the Ala-Bel pass we can stop at the local nomads and drink mare's milk. Then we descend in the Gorge of Chychkan where stop for lunch at a local cafe. Here you can try the brand fried fish from the Toktogul lake. Accommodation in the resort "Chychkan." Free time for walk near the river. Dinner and overnight in the resort. 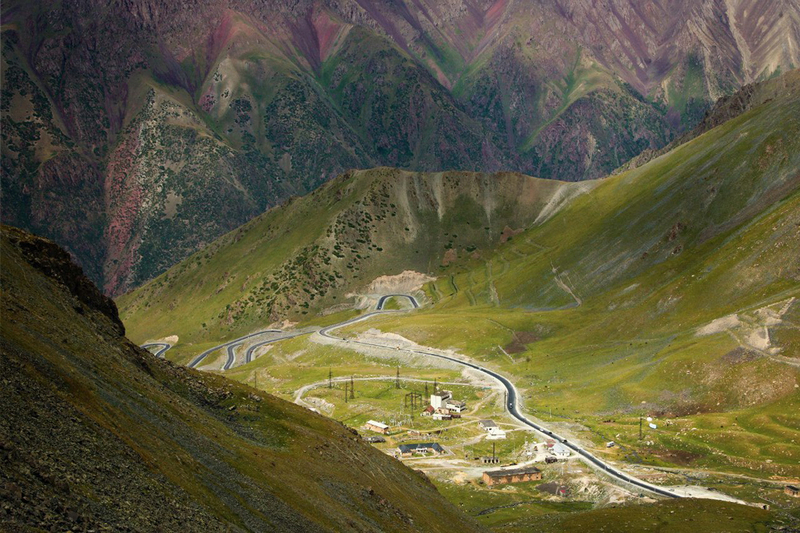 After breakfast we will drive further in a southern direction towards the Fergana Range. 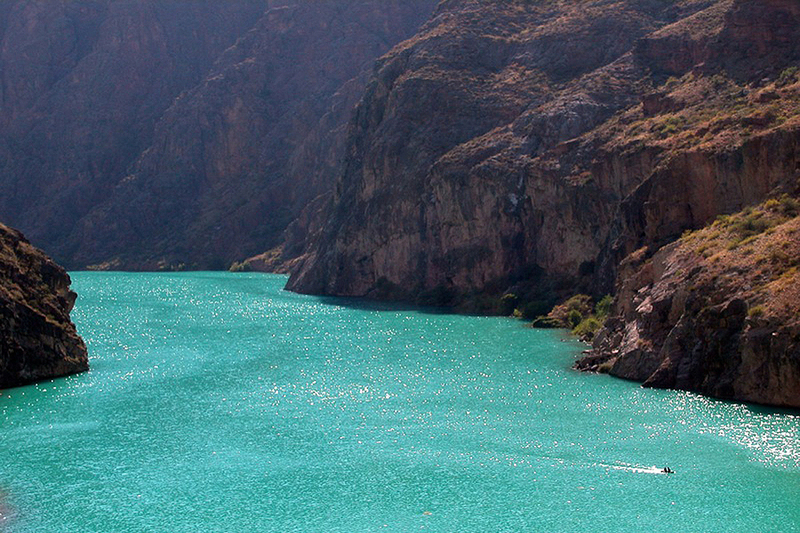 We go around the Toktogul reservoir (one of the largest reservoirs in Central Asia) and went down into the canyon of the Naryn, where we will see river of the same name in all its glory. 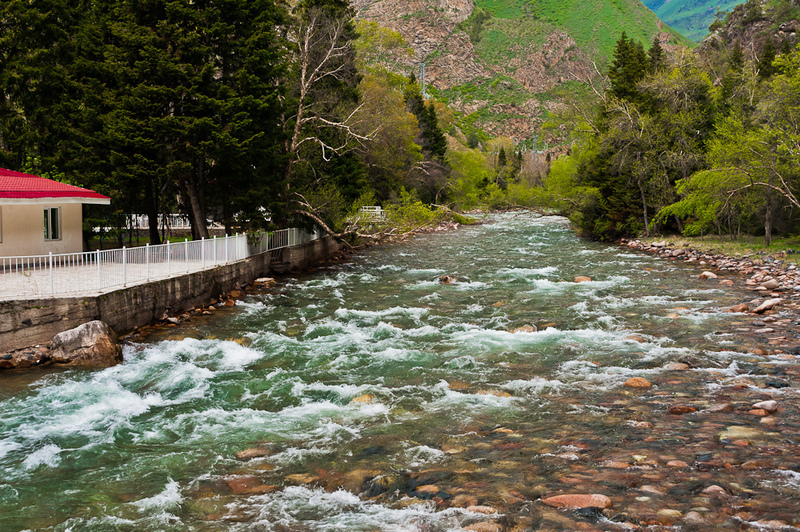 The Naryn River is the longest river in Kyrgyzstan (807 km.). Along the way we will stop for a picnic. Continuation of the way. Arriving in the village Arkit, which is 6 km away from the lake Sary-Chelek. Dinner and overnight at the guest house. After breakfast we go to the lake through a small pass. 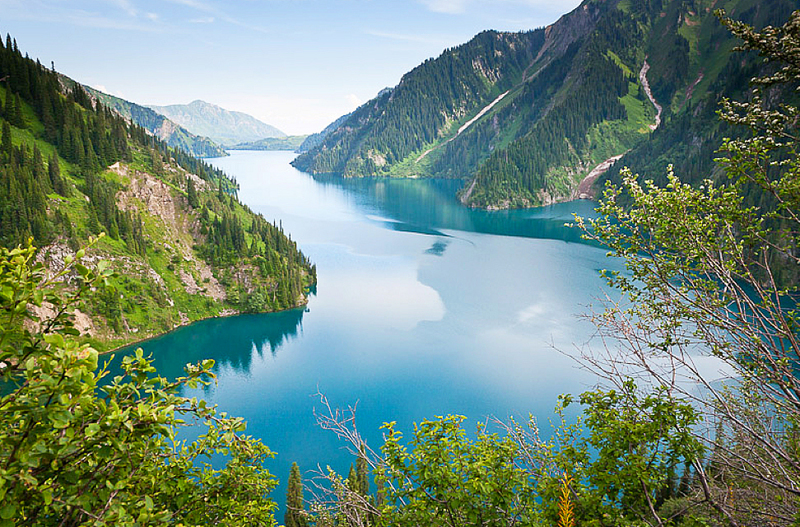 Freshwater lake of Sary-Chelek is located at the altitude of 1878 meters at the territory of Sary-Chelek Biosphere Reserve, in a midst of Chatkal and At-Oinok mountain ranges, at western Tien-Shan. Shoreline is very sharp and entirely covered by forests. Walk on the shore of the lake. Picnic on the open air. You can order boat trip on the lake. 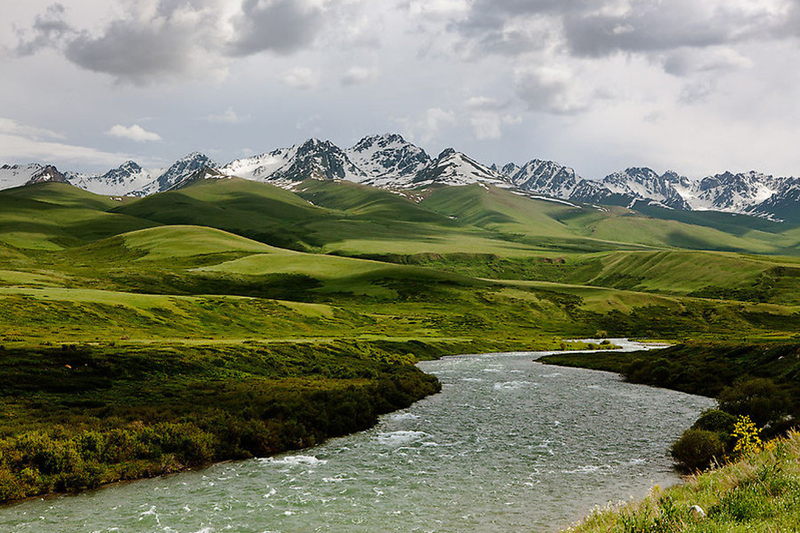 Then we make a direct transfer to Arslanbop through the Fergana Valley. Arriving in the evening in Arslanbob. Dinner and overnight at the guest house. After breakfast we will go to the panorama of Arslanbob, where we will have an excellent view of the valley, walnut forests and mountain peaks of Babash-Ata. Walk through the forest to the small waterfall. You can order a trip on horseback. Return to the guest house for lunch. 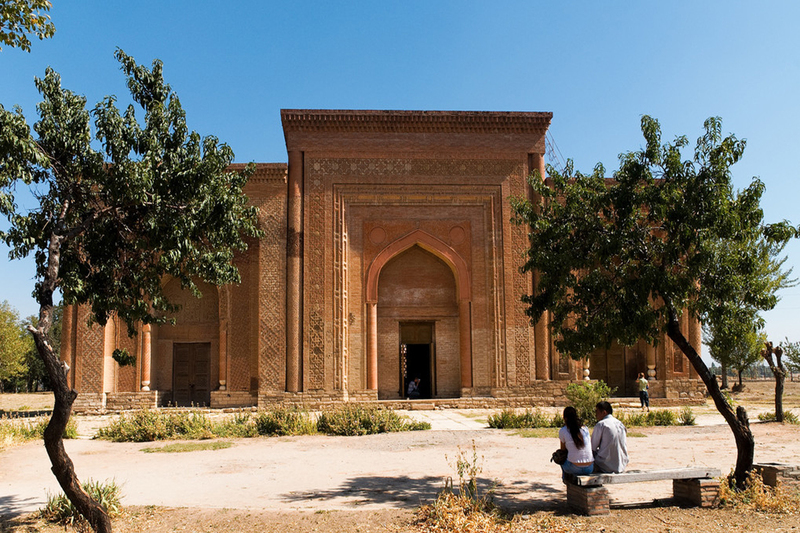 After a short break we go further south towards the city of Osh, which is also called the oasis on the Great Silk Road. 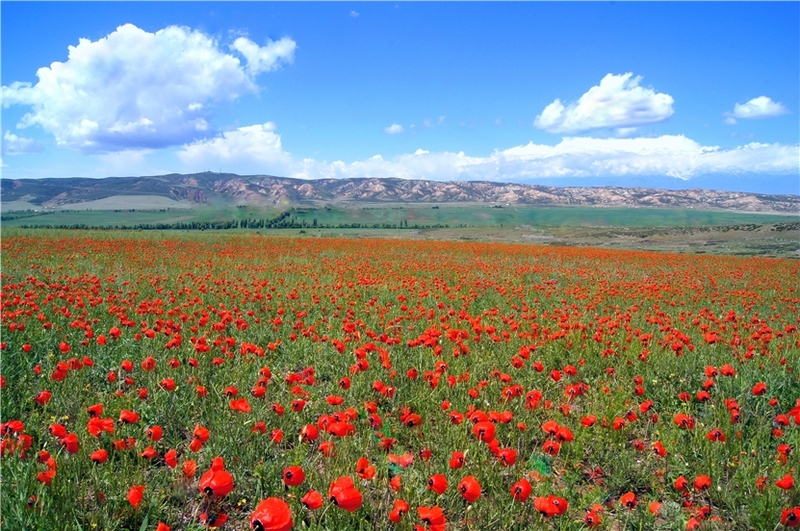 Along the way we'll pick in Uzgen, where we will visit the minaret and a real Asian market. Uzgen was the capital of the southern state of Karakhanidz in the XII century. Arrival in the evening in the city of Osh. Dinner and overnight at the guest house. After breakfast we go for a walk round the city. A visit to the sacred mountain Sulaiman-Too, panoramic views of the city. 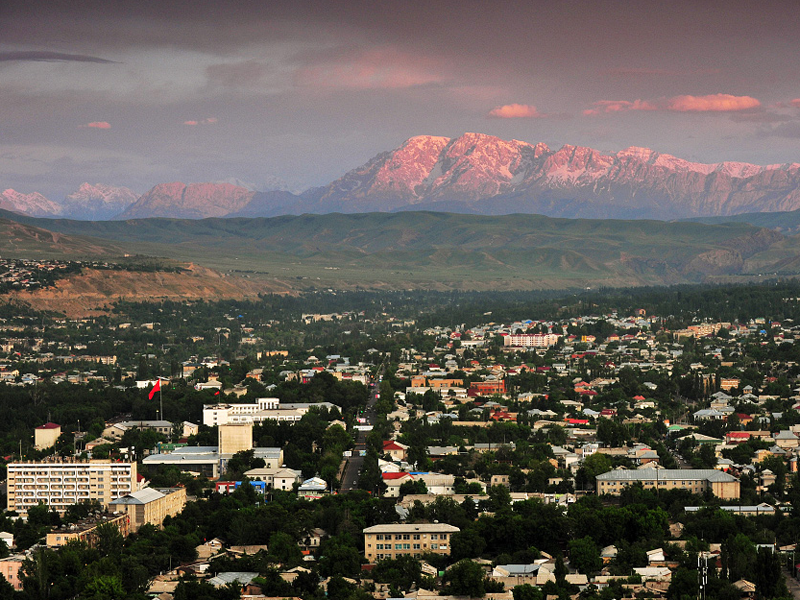 Sulaiman-Too is the first object in Kyrgyzstan which have become a UNESCO World Heritage Site. 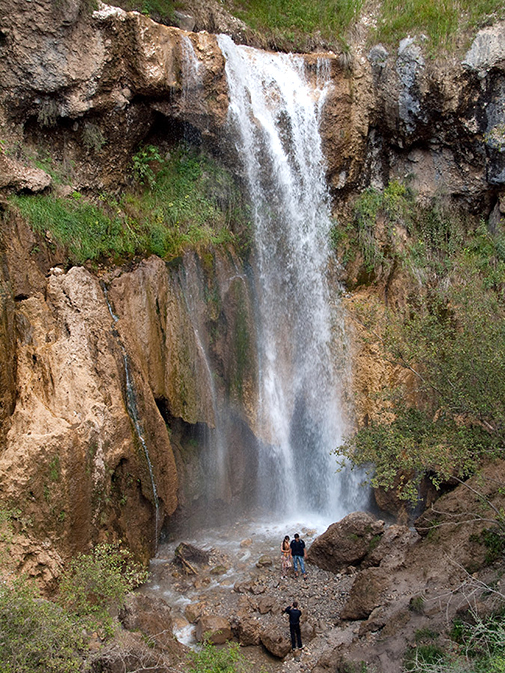 It is located in the center of Osh city, and rises to 175 m above it. Currently, the mountain itself and the works involved, many of which were built several centuries ago, are the part of the historical and architectural complex. They include remains of the medieval bath in the eastern part of the mountain (11th-14th centuries), the mosque Takht-i Suleiman on the top of the mountain (16th century), the mosque Rawat-Abdullakhan (16th century) and the mausoleum of Asaf-ibn-Burhia in the south-east of the mountain (18th century). Lunch in a cafe at Sulaiman-Too. 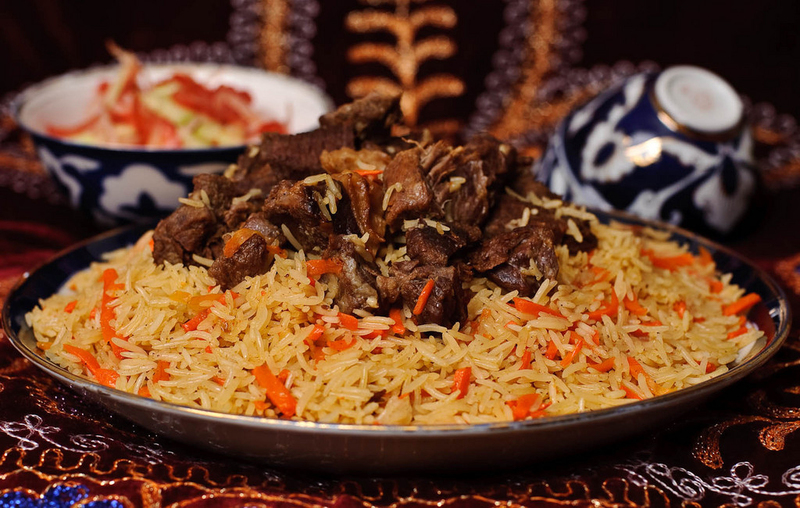 You can order here a real Osh plov. After lunch transfer to Bishkek. Dinner on the way. The program has developed with the partner Central Asia Adventures. Tour pricing can change depending on customer’s needs. We can tailor the tour to your requirements: add or subtract number of days, change any itinerary and program, add excursions, activities and a number of other additional extras. 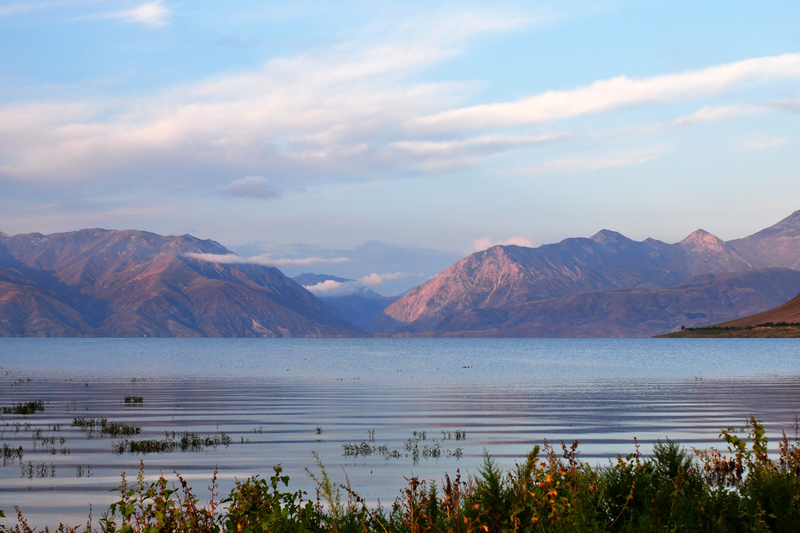 The climate in Kyrgyzstan is sharply continental, and throughout the day the temperature in the mountains can range from + 30 to 0 degrees, that’s why we recommend the tourists to take warm shoes, warm clothing, sunscreen and sunglasses with them.